If you have read through http://ilovebacons.com/mods you will notice that the multiplayer aspect of Starbound is very incompatible with mods and no matter what you do your client mods will also be present while you are on a multiplayer server, causing a variety of issues. In here I will try to explain how can you keep your mods you might use for singleplayer and still play on the server. > What you are doing here is copy/pasting your starbound installation what will allow you to have a version you run through Steam and other you run directly that will have different mods and player files. Enter the new folder that will by default have "copy" in its name, you might want to delete your /storage folder if the players and worlds you had before were making use of mods such as custom races, Frackin Universe, etc..
At this point, you already run Starbound via the newly created shortcut, you have one new clean starbound installation while keeping the original installation mods and players intact. Now, let's talk mods. As you will be running Starbound directly, the Steam workshop mods are no longer loaded, instead, Starbound will load the contents of the <install-folder>/mods. All Mods listed on our Showcase are compatible with our multiplayer server, browse it and find the mods you will want to use on this new install. By default the Showcase provides workshop links, you will want to use this method to download the mod contents and put them on the Starbound mods folder. > Are your incompatible mods subscriptions on the Workshop? Then you can simply start starbound without having it load the workshop mods by running the executable directly. Follow the Step 3) of Solution #1 and run Starbound from the new direct shortcut. 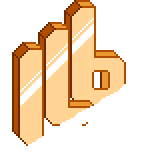 Use the iLoveBacons Starbound Launcher that by default starts the game directly. Consider this method might impact some of your data if you are using mods that forcefully require the mod assets loaded in such as custom races or FrackinUniverse. > MultiBound allows you to set up separate profiles/"instances" with different saves, mod loadouts, etc. ; perfect for separating your Frackin' Universe and non-FU saves, or what have you. Visit this tool page here. I hope this helps to clarify the way to still play with any mod you want freely and still play on a multiplayer server without the annoyance of incompatibilities due to Starbound's inability to prevent mods from loading without uninstalling them. If you have any questions feel free to reply to this thread!